Recipes don't always work. 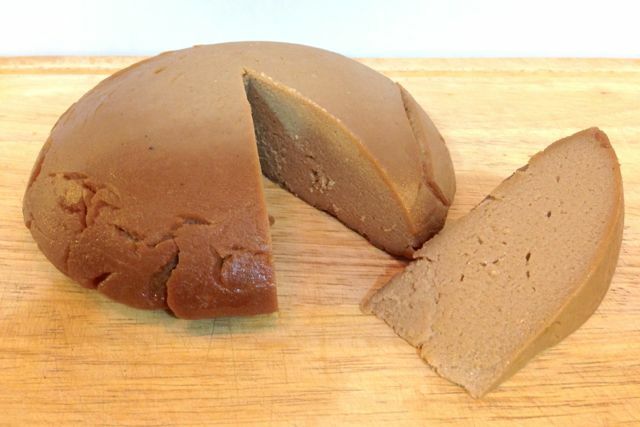 This one didn't, but we're posting it anyway as part of our review of Miyoko Schinner's Artisan Vegan Cheese, because it illustrates a good point: the recipes in this book look beautifully simple but there's a whole lot of culturing, gelling, drying and other processes going on which aren't that simple to master. Disaster is never far away. 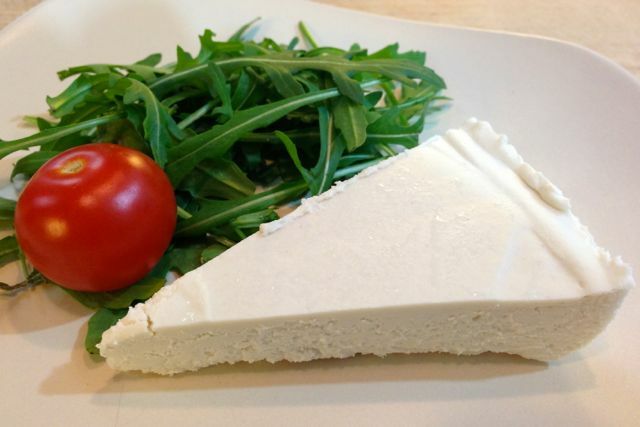 A wedge of vegan brie from a recipe in Miyoko Schinner's vegan cheese book (yeah we know it looks like cheesecake). We're slowly working through some of the key recipes in the book as part of our ongoing review. 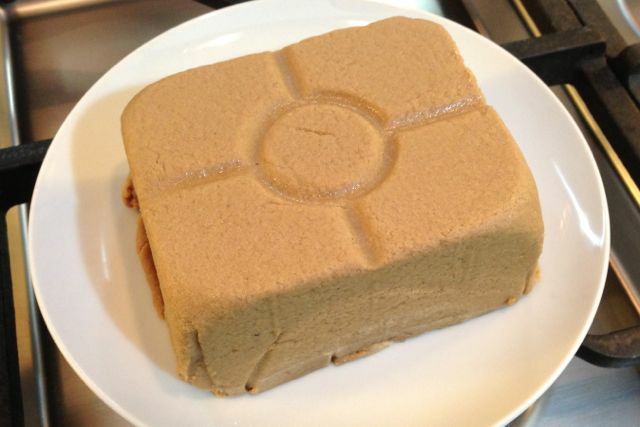 This one uses the same rejuvelac-cultured cashew base as most other recipes in the book, and includes coconut oil for ooziness, along with yeshi (nutritional yeast) for flavour. 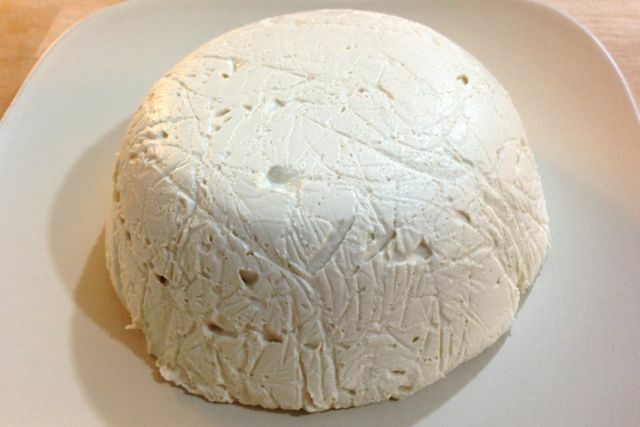 Dairy-free cheese made from soya milk and rejuvelac. 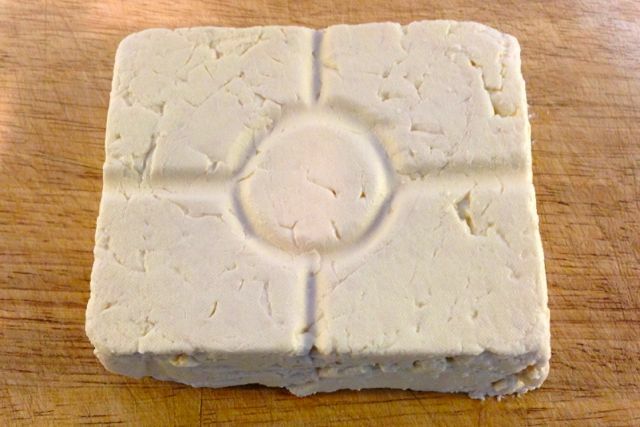 We're still reviewing the Artisan Vegan Cheese book and as a sidestep (not in the book) we tried the rejuvelac-culturing method on plain soya milk. It cultures the soya milk well, although it seems to partially coagulate it at the same time... giving you a cheese that's somewhere between tofu and yoghurt cheese. Make your own rejuvelac... a step by step guide. 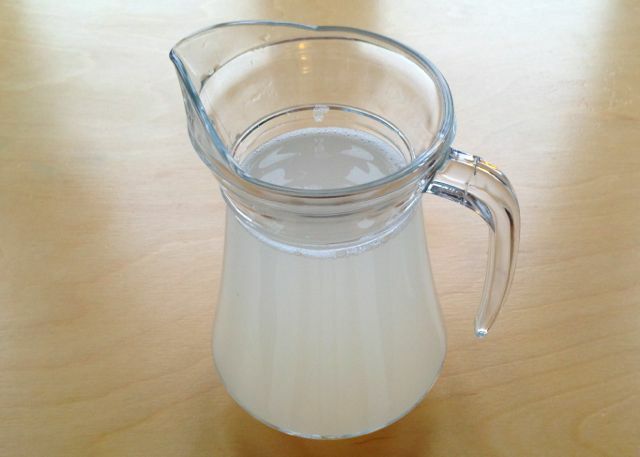 Our sister site plantfoods.org has a new demo on how to make rejuvelac at home. Rejuvelac is a non-alcoholic fermented liquid made from sprouted grains. It can be used to make vegan nut/seed cheeses or plantmilk yoghurts. You can also just drink it as a digestive aid.